Community returns for its sixth season on March 17th at its new home on Yahoo!, which is exciting, but—as Ben Chang points out—are any of you white people noticing what's happening to the group? Troy's gone, Shirley's gone and—wait, who is this white Shirley who keeps showing up? 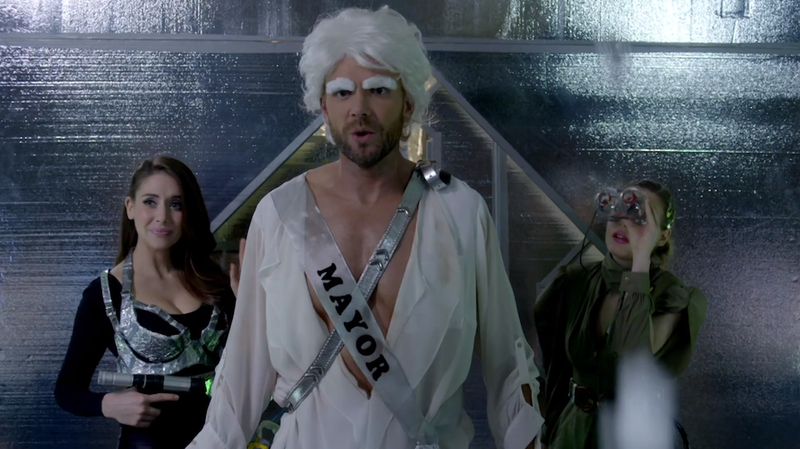 Based on the trailer, the new season of Community will be delightful and true to the show's strangest self. With the additions of Paget Brewster, Jason Mantzoukas and Keith David as a genius inventor who says things like, "I have a brain the size of Jupiter, I'm nobody's fourth Ghostbuster," it's looking very promising.